By PATSY HOLLIS | In contemporary terms would you think of them as resistance fighters? Or perhaps they were terrorists? Tasmania’s black bushrangers (as they are called in the book reviewed here) are part of a story previously untold in our history. Two of them, Pevay and Timmy, were the first men publicly executed in Melbourne. This is a violent story and a true one. Yet there was a myth — at least when I was much younger and at school, that Australia’s white occcupation of Australia had been a peaceful incursion and expansion. True, an occasional reference was made by history teachers to Aborigines’ hostility towards the strange white creatures that took over their traditional hunting grounds without as much as a by-your-leave: a shooting or spearing by blacks; in answer, maybe a massacre or two. …a sort of tolerance based on reprocity existed until 1823, when Aborgines began to attack and kill white settlers frequently enough to cause alarm. (Aboriginal attacks on whites had averaged fewer than two a year … but all that changed. Generally, whites put Aborigines’ passivity about them down to the superiority of white weapons. Word of these fearsome weapons had spready quickly through the island … But the firearms of the time were often unreliable and could fire only a single shot — two if double-barrelled — taking up to a minute to reload after each discharge. It was only a matter of time before Aborigines came to realise that and adapt their tactics accordingly. As settlement spread the white population burgeoned, they became increasingly resentful, and within two decades of white settlement their resentment was simmering, ready to boil over. 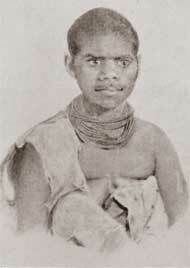 The period of black bushranging in Tasmania was brief, less than five years: 1823 to 1827. 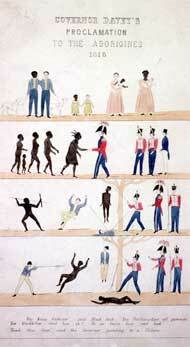 From 1824 to 1826, Aboriginal attacks on whites rose to an average 18 a year, then to 72 in 1827, peaking in 1830 at 222. The difficulty, Cox argues, is whether or not Aboriginal outlaws who perpetrated these attacks should be called bushrangers. After all, they were an indigenous people who found themselves outside a newly imposed legal code. 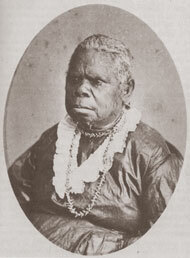 However, in his Introduction Cox writes: “I believe it needs to be said that in the early days of black bushranging colonial authorities often seem to have been scrupulously fair — perhaps overly so — in their punishment of Aborigines — a sort of reverse racial discrimination. … since white convicts at this time were hanged for stealing a sheep or two, it seems that settlers and the colonial administration alike undervalued Aborigines as victims and underestimated them as assailants. This book isn’t light reading. At times it is harrowing, at times dispassionately scholarly. But important. Cox has examined widely scattered fragments, footnotes, newspaper reports and the like, and acknowledges other indispensable resourses, such as books by Jan Roberts and Lyndall Ryan.